The endorsement by UCL's Institute of Archaeology is interesting given the forum piece on metal-detecting that appeared in the Papers of the Institute of Archaeology (and that is largely uncited by members of PAS although is noted by archaeologists working in Spain). 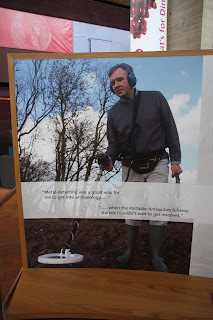 This is a timely reminder as we approach the third anniversary of the removal of the "Lenborough Hoard". Members of PAS could, perhaps, address the five points highlighted by the Lenborough case.